Want to catch more fish? Understanding the map of your lake makes it a lot easier! If you're using modern electronics there are some amazing tricks that make it even better. Today Tim shows how to highlight depth zones, adjust lake levels, and select prime fishing locations. If you're using a traditional paper lake map this information still applies. Spend less time searching and more time catching with these quick adjustments! Tim begins by showing the difference between base map software and aftermarket mapping chips. He goes on to assume you're using some version of a map card in order to get accurate contour lines. 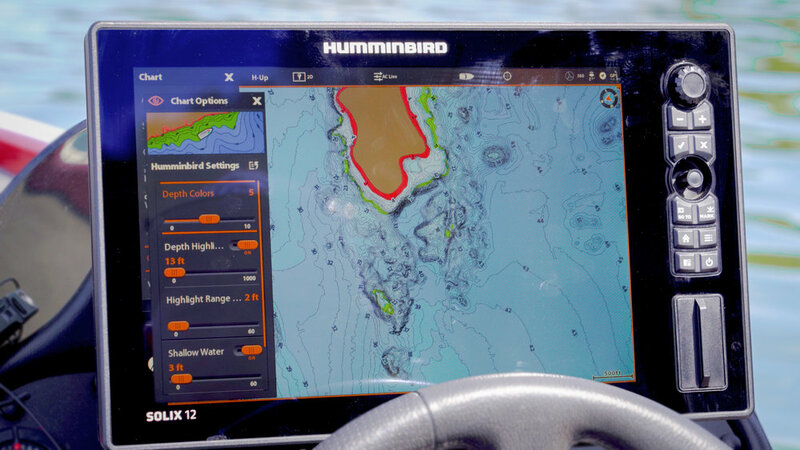 Tim uses his Humminbird Solix to show a variety of structures and how they appear on the map then goes on to teach the subtle differences that will save you a ton of searching and fishing time! If you want to become a more efficient angler you need to get comfortable reading a map of your lake. You don't need an expensive unit and software to be a great angler, you can get by with a simple paper map, but good electronics make it much, much easier. Below is a breakdown of the unit and cards Tim was using in the video as well as a few other options he recommends at various price points. Keeping your electronics screen clean is really important. The best product we've found to do that is Wave Away. It cleans finger prints and water spots with very little effort instead of scrubbing at the screen until your hands hurt. New Worms, Creatures, Rods, Reels, Line, and more! Spring fishing is is the best time to try new tackle because the bass are aggressive. We cut the learning curve today by trying all sorts of new gear and bringing you our top picks! Matt and Tim are both tackle junkies. Between the two of them they try the vast majority of tackle that enters the market. There are a ton of new products each year but few are truly innovative and even less stand the test of time. We do our best to sort through the mess and find the diamonds in the rough. Today we are looking at a variety of different products which are outlined below. They are listed in no particular order and all will help you become a more effective angler this Spring and Summer. 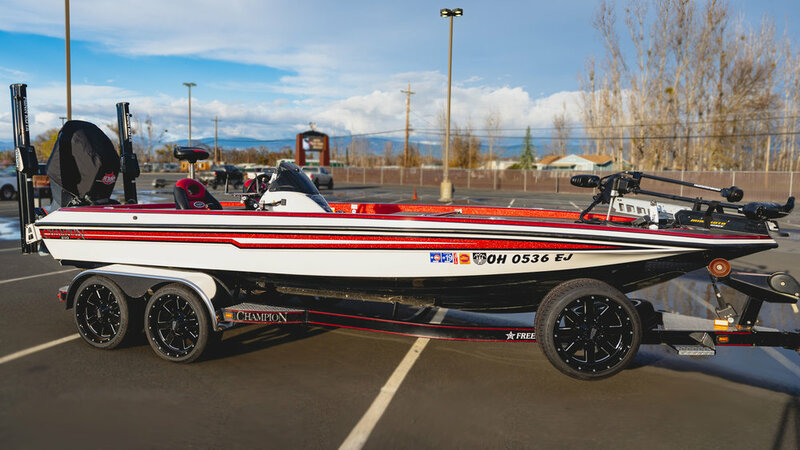 Spring has arrived and its time to get your boat ready for fishing! We're taking you on board Tim's boat to look at how he organizes his tackle, what tools and accessories he keeps on board, as well as some key tips and tricks to make your life easier on the water! Boat organization isn't glamorous but its a critical part of every boat. From properly balancing equipment in order to maintain a level boat, to organizing tackle in a way that keeps it secure, yet easy to access, boat layout is an important part of every angler's plan. Tim gives us a complete walk through of his compartments and explains why each item was chosen. Whether Tim is organizing his hooks in ziplocs or putting a paper funnel in a back compartment, he's thinking ahead and streamlining his equipment. Below is a breakdown of the gear Tim discussed in the video. The items are in order of appearance to make it simple for you to find what you're searching for. The New Antares 70 is Shimano's latest flagship reel. We took it out on Clearlake and put it to the test against some BIG bass! How did it do? Is it worth the money? Let's find out! The key features of the reel are a smaller, streamlined, Magnesium Hagane body. MGL Spool III for reduced inertia and amazing performance, even with light baits. X-Ship and Micro Module Gearing give the reel that buttery smooth feel and SVS Infinity Braking makes quick adjustments a breeze. What does all of this mean to you? It means that you're about to pick up the smoothest casting reel you've ever experienced. It will cast light baits with ease but turn around and throw heavy baits a country mile. If you're looking for a top of the line reel that will make fishing even more FUN this is as far as you'll ever need to look! We have been blessed to purchase a variety of nice equipment over the years and no other reel has had the smoothness and feel of this Antares. In the video we said pre-ordering was available (and it is) but as of this writing there are actually a handful in stock at the link below! We recognize that a reel of this caliber isn't for every angler. There are anglers with all kinds of needs and budgets. With that in mind here are a handful of our best "bang for the buck" casting reels at a variety of price points. The Bait you saw catching all the fish in this video is an LV-500 in "Ghost Minnow" color with upgraded hardware.